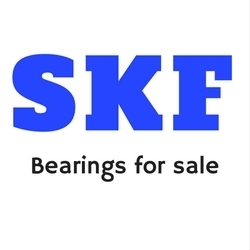 If you didn't know, SKF bearings are the largest bearing manufacturing company in the world. Most car and truck manufacturers have used these high quality bearings, Ford and BMW use them today and 40 years ago. The prices of SKF ball roller bearings and taper roller bearings can be a lot higher than other manufacturers, but sometimes the extra expense is well worth it, especially when it comes to wheel bearings. All manufacturers names, numbers, symbols and descriptions used here in are for reference purposes only and do not imply that any part listed is the product of these manufacturers.